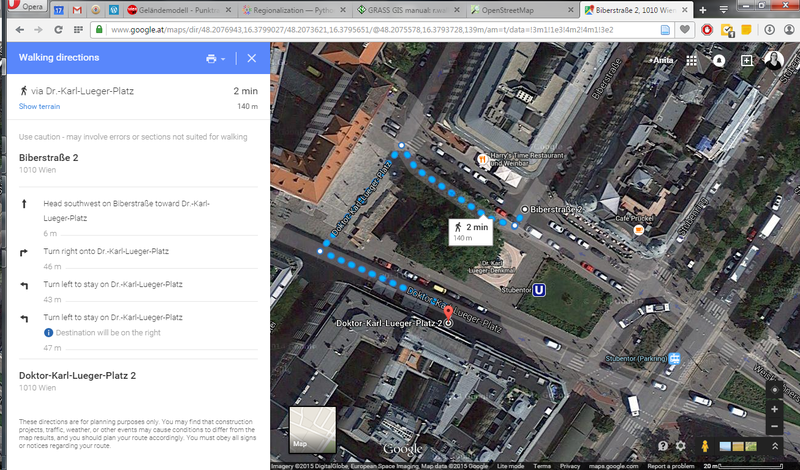 … The route crosses the square – like any sane pedestrian would. I’ve been using GRASS 7 for this example. 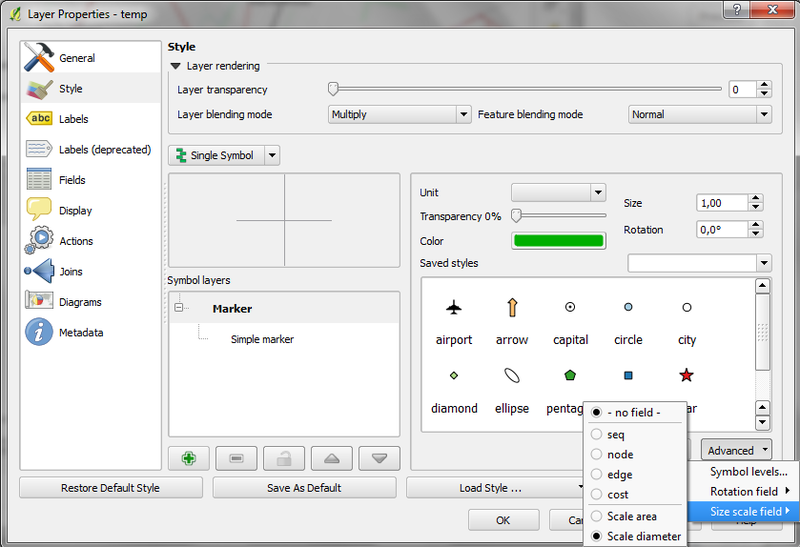 GRASS 7 is not yet compatible with QGIS but it would certainly be great to have access to this functionality from within QGIS. You can help make this happen by supporting the crowdfunding initiative for the GRASS plugin update. At FOSS4G2013, I had the pleasure to attend a presentation about the ODVIS.AT project by Marius Schebella from the FH Salzburg. 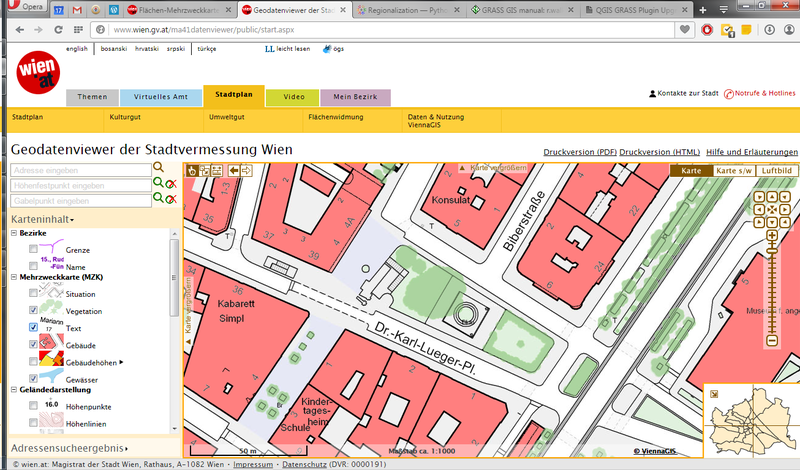 The goal of the project – which ended in Summer 2014 – was “to display open data (demographic, open government data) in a quick and easy way to end users” by combining it with OpenStreetMap. Even though their visualization does not work for me (“unable to get datasets” error), not all is lost because they provide an SQL dump of their PostGIS database. Checking the data, it quickly becomes apparent that each data publisher decided to publish a slightly different dataset: some published their population counts as timelines over multiple years, others classified population by migration background, age, or gender. 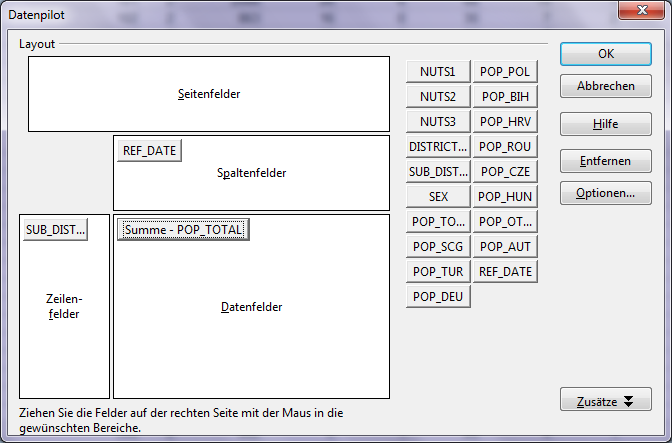 Also, according to the metadata table, no data from Salzburg and Burgenland were included. 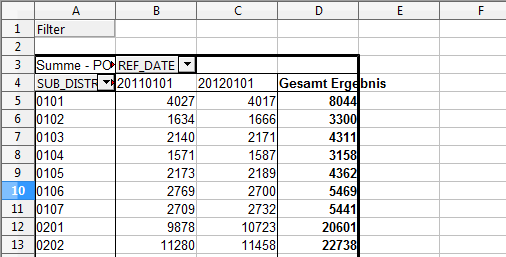 Most datasets’ reference date is between 2011 and 2013 but the data of the westernmost state Vorarlberg seems to be from 2001. Based on this database, I created a dataset combining the municipalities with the Viennese districts and joined the population data from the individual state tables. 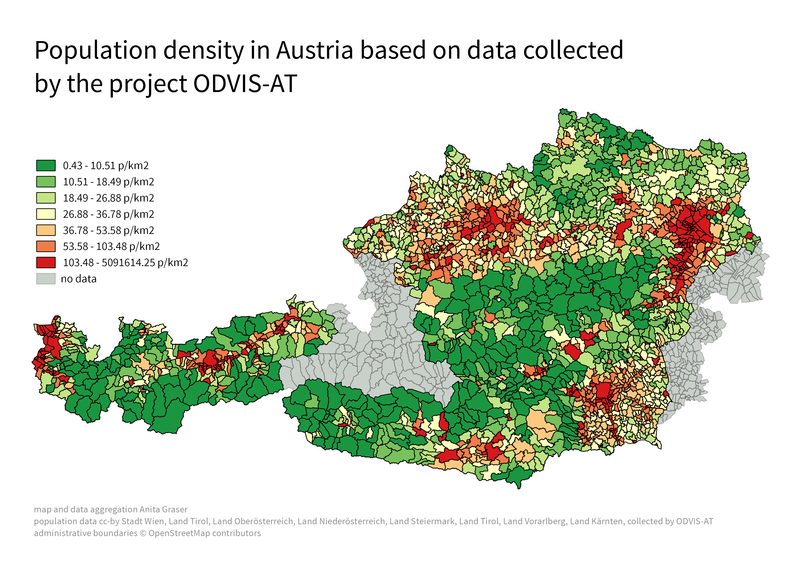 The following map shows the population density based on this dataset: it is easy to recognize the densely populated regions around Vienna, Linz, Graz, and in the big Alpine valleys. Overall, it is incredibly time-consuming to create this seemingly simple dataset. It would be very helpful if the publishers would agree on a common scheme for releasing at least the most basic information. Considering that OpenStreetMap already contains population data, it barely seems worth all the trouble to merge these OGD datasets. Granted, the time lines of population development would be interesting but they are not available for each state. P.S. If anyone is interested in the edited database, I would be happy to share the SQL dump. 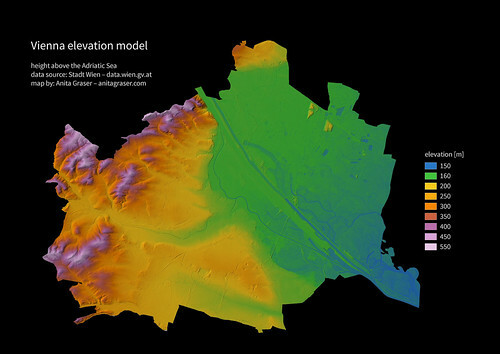 Since I finally managed to download the elevation model of the city of Vienna, I thought I’d share some eye candy with you: The map uses layer blending to combine hillshade and elevation raster, and the elevation raster’s color ramp is a modified “garish14″ from QGIS’ cpt-city color ramp collection. wien_elevation, a photo by underdarkGIS on Flickr. 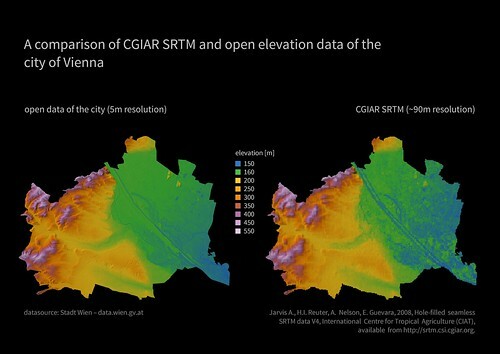 A comparion of CGIAR SRTM and open elevation data from the city of Vienna, a photo by underdarkGIS on Flickr. 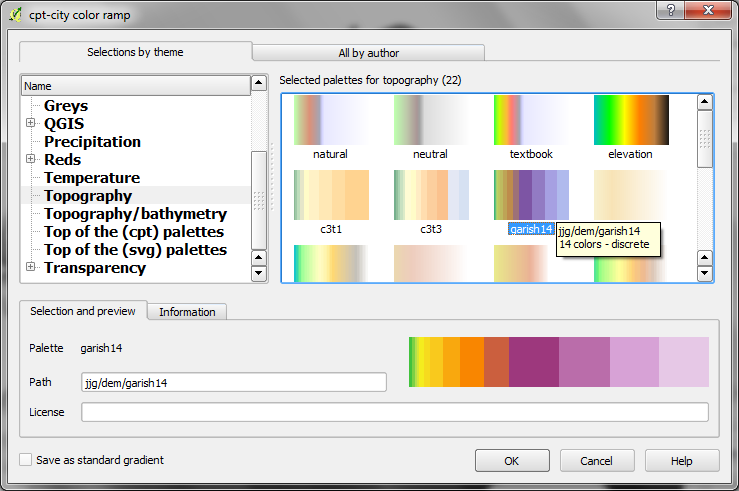 Start by selecting the “new color ramp” option in the raster’s style window. Chose the “cpt-city” color ramp type. 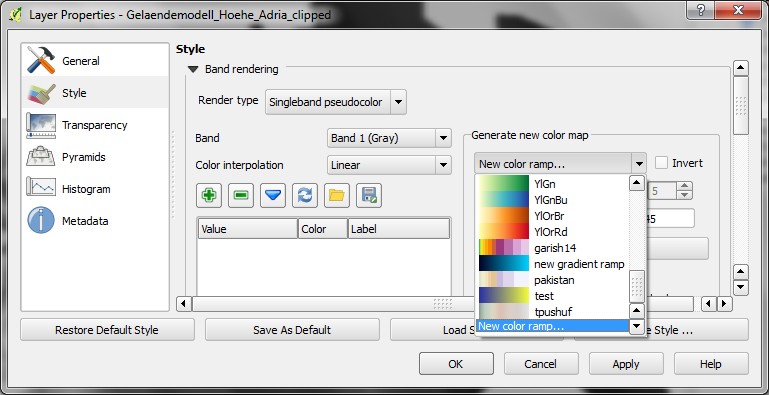 In the “cpt-city color ramp” window, you will find lots of different premade color ramps. “garish14″ is part of the “Topography” collection. 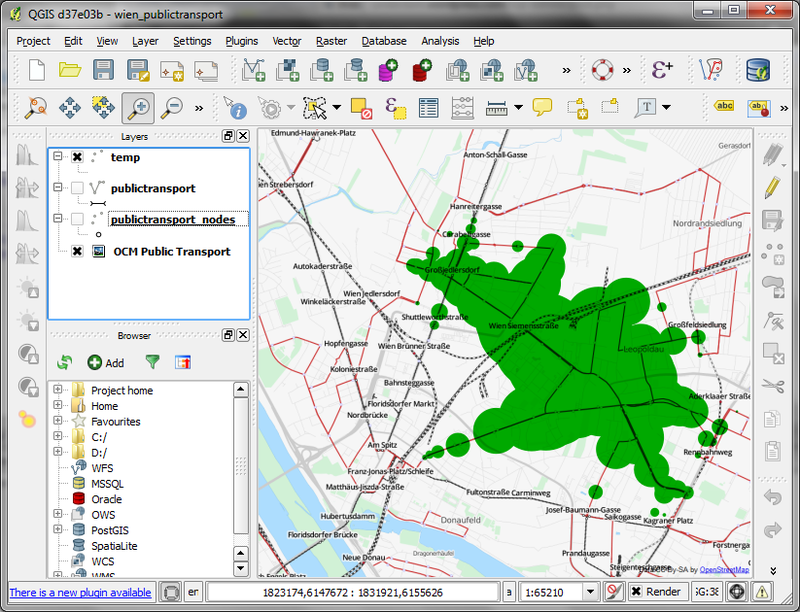 This post covers a simple approach to calculating isochrones in a public transport network using pgRouting and QGIS. Note that the tolerance parameter 0.0005 (units are degrees) controls how far link start and end points can be apart and still be considered as the same topological network node. To calculate isochrones, we need a cost attribute for our network links. To calculate travel times for each link, I used speed averages: 15 km/h for buses and trams and 32km/h for metro lines (similar to data published by the city of Vienna). The resulting view contains all network nodes which are reachable within 100,000 cost units (which are minutes in our case). 2. 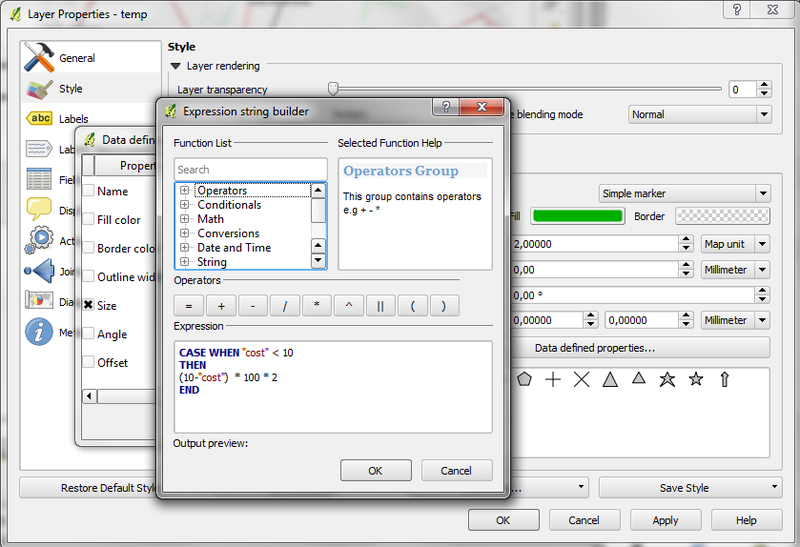 In the Simple marker properties change size units to Map units. 3. Go to data defined properties to set up the dynamic circle size. 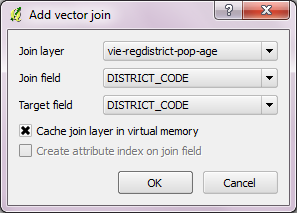 The expression makes sure that only nodes reachable within 10 minutes are displayed. Then it calculates the remaining time (10-"cost") and assumes that we can walk 100 meters per minute which is left. It additionally multiplies by 2 since we are scaling the diameter instead of the radius. To calculate isochrones for different start nodes, we simply update the definition of the view network.temp. Dasymetric mapping is a technique in which attribute data that is organized by a large or arbitrary area unit is more accurately distributed within that unit by the overlay of geographic boundaries that exclude, restrict, or confine the attribute in question. For example, a population attribute organized by census tract might be more accurately distributed by the overlay of water bodies, vacant land, and other land-use boundaries within which it is reasonable to infer that people do not live. That’s exactly what I want to do: Based on subdistricts with population density values and auxiliary data – Corine Land Cover to be exact – I want to create an improved representation of population density within the city. Corine Land Cover is not too detailed but I think it still usable on this scale. One thing to note is that I used data from 2006 with population data from 2012 so some areas in the outer districts will have been turned residential in the meantime. But I hope this doesn’t distort the overall picture too much. 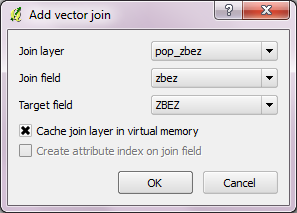 We should be able to join on ZBEZ and SUB_DISTRICT_CODE, check! But what about the actual population counts? 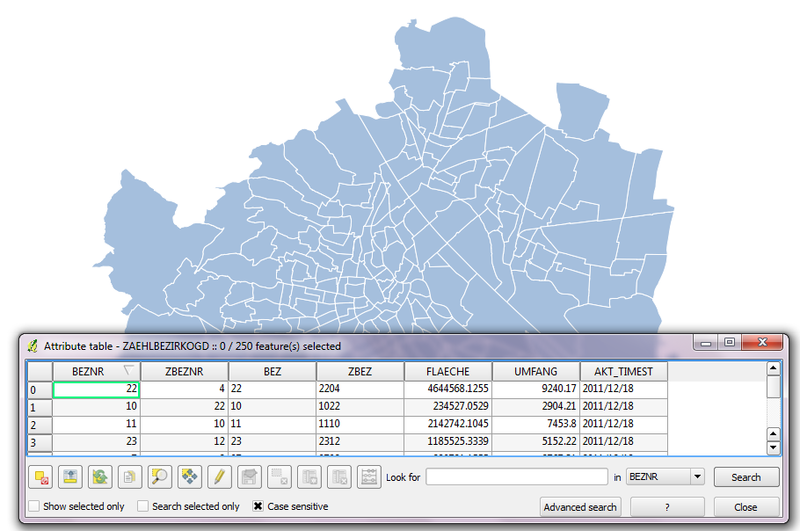 Unfortunately, there is no file which simply lists population per subdistrict. The file I found contains four lines for each subdistrict: females 2011, males 2011, females 2012 and males 2012. That’s not the perfect format for mapping general population density. One could argue that this is still no accurate representation of population density: Big parts of some subdistricts are actually covered by water – especially along the Danube – and therefore uninhabited. There are also big parks which could be excluded from the subdistrict area. But that’s going to be the topic of another post. 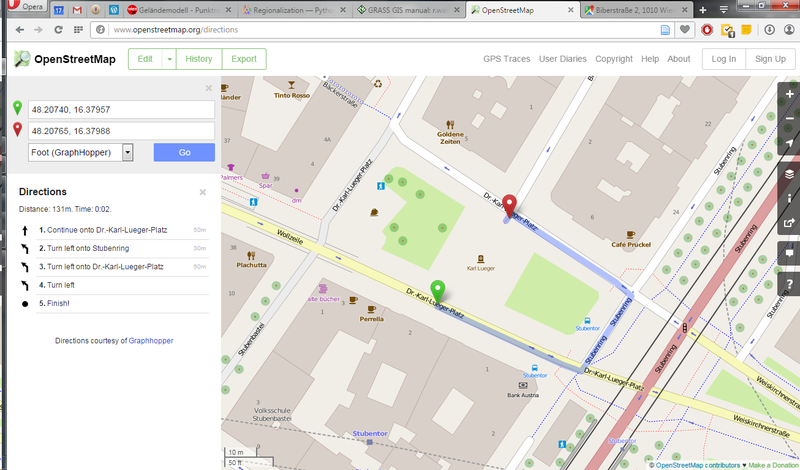 If you want to use my results so far, you can download the GeoJSON file from Github. 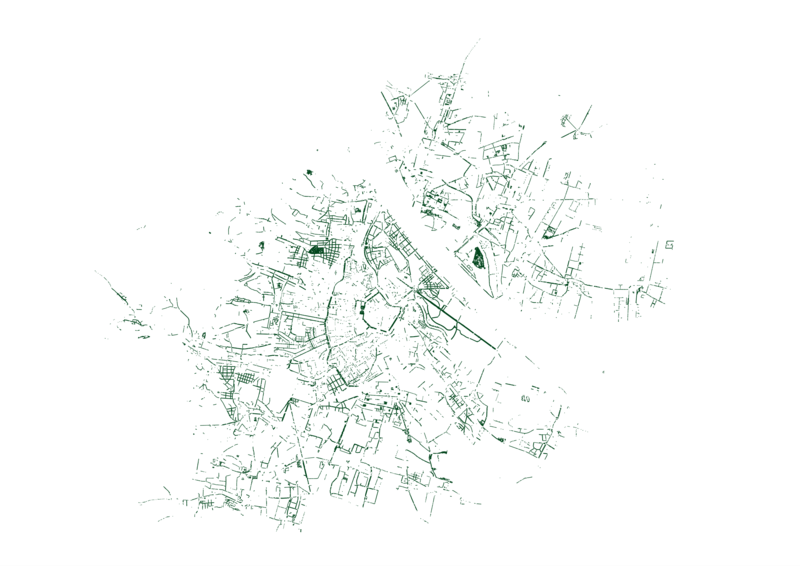 Rendering tree counts per hexagonal grid cell reveals some of Vienna’s greenest spots, such as the Prater or Türkenschanzpark. There’s also a printable version. 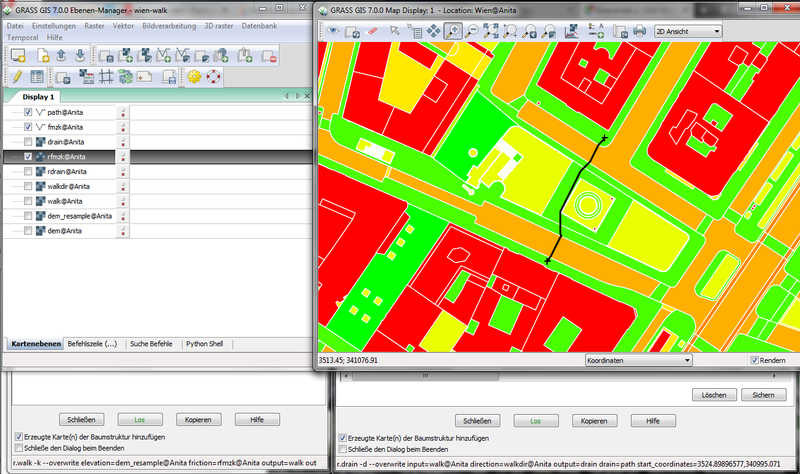 MMQGIS – Create Grid Layer performs great. Creating the 18,400 hexagons in this map was very fast. 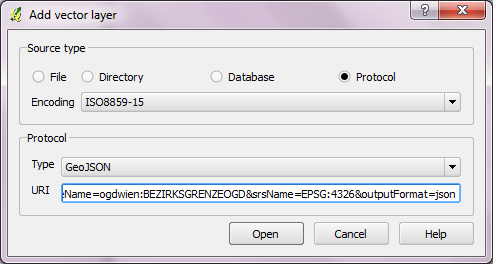 Note though, that this tool doesn’t seem to write correct projection information to the resulting Shapefile. Therefore it is necessary to set the projection manually after loading the file. As a result, it is very likely that the Points in Polygon tool will warn you that the point and polygon layer are not in the same projection. I ignored the warning and everything went fine. This step was reasonably fast considering the number of points (119,744) and polygons (18,400).